opens a new windowTacoma Public Library's eBook and audiobook provider, OverDrive, has just released a new app called Libbyopens a new window. 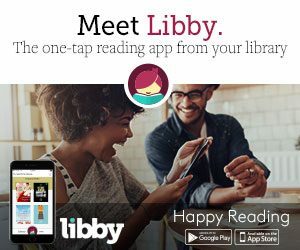 Libby is a streamlined reading app experience and is now available for Android, iOS (iPhone/iPad/iPod touch) and Windows 10 devices. If you're happy with the original, or can't get Libby on your device, the classic OverDrive app is still available and has some features that are not yet part of Libby.